Three alternatives are being proposed: One would make no changes, a second would improve signage and lane striping, and a third would modify traffic patterns to simplify the current weaves, merges and diverges. ARLINGTON, Va. — Driving through Memorial Circle provides one of the most beautiful views available of the nation’s capital. But a driver who momentarily takes eyes off the labyrinth of merging lanes is likely to end up in the wrong place, or in a fender-bender. 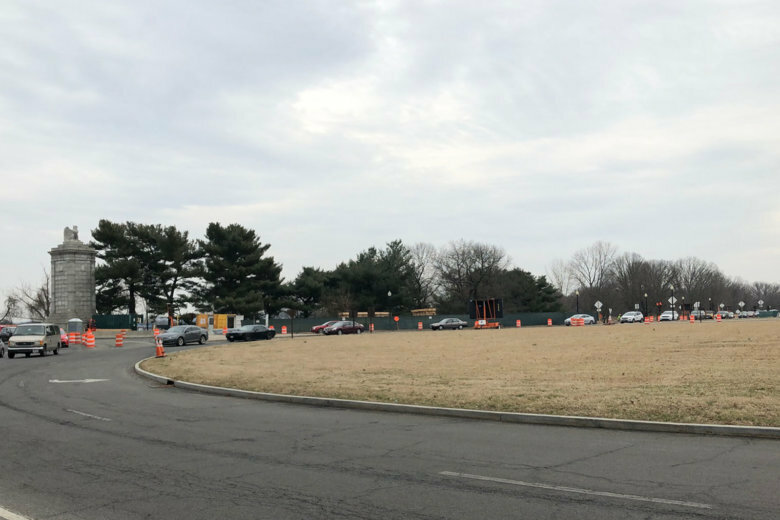 The National Park Service has been pulling together options to make travel safer and improve traffic flow through the circle, which sits between the south end of the Memorial Bridge and the main gate of Arlington National Cemetery. Since online public comment was suspended during the government shutdown, the park service’s website is extending the comment period through Feb. 18. Three alternatives are being proposed: One would make no changes, a second would improve signage and lane striping, and a third would modify traffic patterns to simplify the current weaves, merges and diverges. The park service prefers Alternative C.
Under the preferred alternative, drivers in the circle would have the right of way and drivers entering the circle would be required to yield. The circle itself would be re-striped, to reduce from two lanes to one lane. “These improvements would allow the circle to function more like a modern roundabout,” according to the park service. At the east side of the circle where it meets Memorial Bridge, the existing island would be reconfigured into two smaller island. This would allow westbound drivers to bypass the circle. Ramps would be widened, bicycle and pedestrian crossings would be moved closer to the circle, eliminating the current risk posed by travelers on two legs or wheels crossing the road where cars are accelerating. “Although there would be some alterations to the appearance, circulation patterns and small-scale features of the project area, the overall character of the memorial landscape would be maintained,” the park service said.